After a successful pre-season, Vale manager Chris Anderson believes his side are ready for what will be a tough Lowland League opener against Stirling University. He has presided over four wins and a draw in the club’s friendly matches, conceding only two goals. The wins came against Peebles Rovers, Tollcross Thistle, a Livingston XI and Arniston Rangers and the draw came against Haddington Athletic. While they have been non-competitive fixtures, winning breeds confidence and can only be good preparation for bringing the curtain down on the Lowland League season at Falkirk Stadium. Tomorrow’s opponents finished fourth in the league last season despite Vale triumphing 4-0 in the same fixture early in the season. It has often been said that university teams can be vulnerable at the start of the season when they are still waiting for some students to arrive on campus, but Ando is under no illusions about what his team will be up against. “We are delighted with the way pre-season has gone. Obviously we are undefeated in pre-season and while it’s not all about the results in these games it is still encouraging. “The boys have worked hard and applied themselves and hopefully we can carry that forward into the season. “Some people might believe that it’s a good time to get a Uni team, but we know that we are up against a very good team. Last time we played them we lost, so we know that we are in for a game. “I’m not going to think about the fact that Uni teams can struggle at the start of the season, all we need to focus on is that they were one of the top teams in the league last year and prepare accordingly”, said the manager. The majority of last season’s Vale squad have stuck around for another season, with only goalkeeper Andy McQueen, Danny O’Donnell, Kevin Motion and Keith McLeod moving on, along with loanees Braid Raiker and Blair Atkinson returning to their parent club. In have come Ross Gilpin, Euan Saunderson, Niall Doherty, Jon McInally, Jack Hay and Jordan Finnie and Ando has been pleased with his acquisitions. He added: “The new signings have all fitted in really well so far. They’ve worked hard to fit into the group and we are happy with their contributions so far. Regretfully, the friendly match against Hibernian XI scheduled for Wednesday night has had to be postponed. The Hibees suffered injuries to their Development Squad playing in the weekend’s Ronnie Swan tournament and that, coupled with call-ups to the first team squad for tonight’s friendly against Berwick Rangers, has forced their hand. We are hopeful that we will be able to reschedule but there is nothing concrete yet. 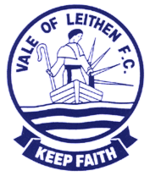 Meanwhile, we have added another fixture to the pre-season schedule with a trip to face Haddington Athletic juniors on Saturday. The match has a 2pm kick off. Vale kicked off their preparations for the season with a 3-0 victory over near neighbours Peebles Rovers. Jason Stevens got the ball rolling after 11 minutes, before Jordan Finnie added a penalty on the half hour. Vale continued to dominate and Euan Saunderson scored a screamer early in the second half to round off the scoring. Despite Vale having early possession it was Peebles who registered the first effort on goal. David McKenzie’s lay off into the path of Gregor Lamb was followed by the youngster shooting off target. Vale took the lead shortly after when Craig McBride’s long pass found Jason Stevens who managed to hold off Jason Newell and steer past Ben McGinley with his left foot. Robbie Renwick played as a lone striker for Peebles and he managed a couple of efforts. A half volley flew across goal and wide and a low shot from James Dodds’ pass also went wide of the target. Other than that it was mostly Vale, although Peebles worked hard to limit them in the final third. However when Niall Docherty burst into the box, Ben Brown could do nothing but stick out a leg and bring him down. On his first appearance in a Vale shirt, Finnie stepped up to send McGinley the wrong way. The start of the second half was quieter until Saunderson lit up the match with a beautiful goal after 12 minutes. Picking up the ball 25 yards out he stepped forward and sent a glorious strike beyond the reach of McGinley. 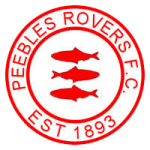 Tiring Peebles began to see less of the ball in an attacking sense, but despite Vale enjoying their most dominant spell they did not manage another goal. Saunderson found Tommy Paterson getting forward from left back but he could not direct his low effort towards the target. Finnie was next to try his luck after a short corner, again involving Saunderson and Paterson, but substitute keeper Tom Kerr got down to parry. Peebles began to grow again towards the end with sunstitute Ross Forrest making a nuisance of himself up top. A deft touch from David Lindsay generated space to have a go but Ross Gilpin was equal to it. And Jason Newell absolutely thumped a free kick towards goal, only to see it sail the wrong side of the post. With Wednesday’s match against Hibernian XI being cancelled, the next scheduled friendly is on Saturday against Arniston Rangers. However, a last minute game could be arranged for Wednesday night. Vale: Gilpin, Imlah, Lynch, McBride, Frain, McIntosh, Docherty, Saunderson, Patterson, Finnie, J.Stevens. Subs used: Manson, S.Stevens. New signing Jack Hay has vowed to treat his move to Vale as a “new chapter” and score the goals to fire his new side to the top end of the Lowland League table. Hay joins from Spartans and has also enjoyed spells at Borders clubs Gala Fairydean Rovers, Selkirk and Coldstream. He has never struggled to find the net at any of his previous clubs but says he has never felt at home, which he feels is about to change after being afforded a warm welcome at Victoria Park. Last season’s top scorer Blair Atkinson has returned to parent club Spartans and Hay would appear to be a ready-made replacement. He is confident he can replace Atkinson’s goals and believes that the team should be aiming high in terms of league position. Hay said: “I have been moving around clubs in the last two years and I have never been comfortable or settled at any. The Vale is a new chapter for me and I have been welcomed with open arms by Chris and his coaching staff and the boys. “I just want to play football and under Ando I can be confident and flourish as a player. I believe after talks with the Vale it’s the club for me right now. The striker has never seemed short of self-belief and broke into the Gala Fairydean first team at the tender age of 16, scoring two hat-tricks in the first two rounds of the Scottish Cup and has continued to plunder goals ever since. Upon signing for title-chasing Spartans last season he managed to bag eight goals in three games. And he spoke bullishly about what he can bring to the table with his new side. He added: “I feel I can bring a lot when I am confident and scoring goals, holding up, winning headers and most of all runs off the shoulders of defenders and scoring goals. But I think the main thing is keeping a cool head and everything else will follow. A move from last season’s third placed side, who will have aspirations of a title challenge this time out, to the one who finished 13th may raise some eyebrows but the 23-year-old has faith that his new team-mates can improve substantially upon the last campaign’s showing. “Ambition is key in any sport but I believe with the team and individuals we have, if we bind as a group and play well and have each other’s backs we will finish top six. It will be a battle every week, but after a few sessions with the boys I believe they are all up for a fight”, said Hay.